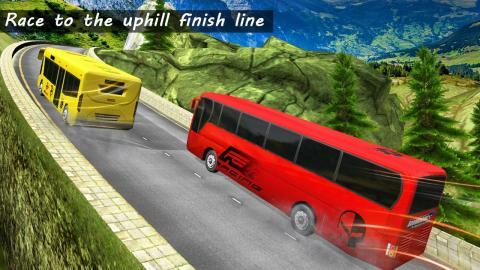 Bus Racing Games brings you the best in class racing experience. Racing on the streets has ended. Its time to race on Hill Tracks. You'll need to master the art of control, balance, speed and drift if you want to reach the finish line on these hill tracks. 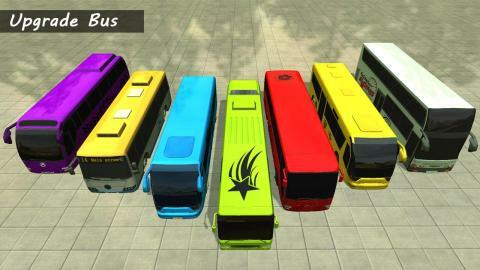 Bus Racing games offers a real-time multiplayer, race against your friend or against a random opponent. Its time to get on the driving chair and prove your driving skills. Driving a Bus is difficult but Racing a Bus is much more challenging. Race through hill , dangerous obstacles and reach your destination. 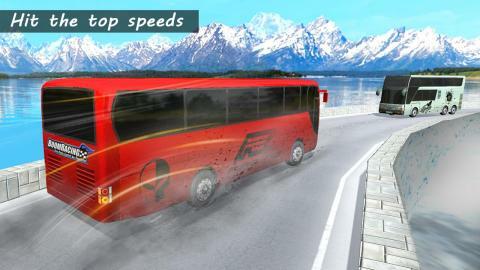 A very smooth gameplay brings you the real experience of driving and racing a bus. Wonderful 3D environment brings more life to the game, 3 different themes to play, and lots of buses to upgrade. Start the extreme racing experience and perform insane driving control on some of the most difficult hill tracks. Game Features : Free to Play! 3D Realistic maps Incredible vehicles Wonderful Interiors Multiple controls, Steering Wheel, Buttons or Tilting Intelligent Traffic System Challenge your friends with realtime multiplayer 3D Environment 15 Buses to upgrade Single Player and multiplayer Mode Download "Bus Racing Games" now! The latest racing game on the google play! 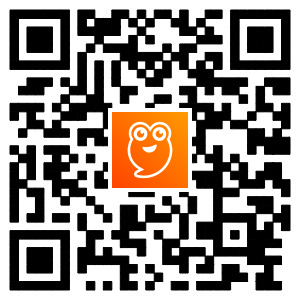 If you face any problems while installation or while playing the game, please report to us. We will resolve it at the earliest.